Graveside services are scheduled for 10 a.m. Monday, Jan. 23, at Woodbine Cemetery for R.D. Hay Jr. of Artesia. Hay, 95, passed away Tuesday, Jan. 17, 2017, at his home with his family by his side. Danny Sons of the Midway Assembly of God Church will officiate at the services. R.D. was born April 2, 1921, in El Paso, Texas, the son of Robert Daniel and Maggie (English) Hay. On June 14, 1944, he married Doris Pearl Huls in Juarez, Mexico, and the couple came to Artesia in 2004 from Dexter. R.D. began riding racehorses at a young age. In the 1950s, he started his career at Ruidoso Downs as a jockey, then moved on to training and owning racehorses. In 1981, he was named the Outstanding Quarter Horse Trainer of New Mexico, and in 1982, he was named Champion Trainer by the New Mexico Quarter Horse Association. R.D. trained racehorses for Punch Jones and family, and throughout the years, the team shared many successes. Upon his retirement, R.D. returned to his farm and continued farming until 2002. He was an avid hunter and always busy with something; he never was an idle man. Even recently, without being able to see very well, he was tinkering and trying to get his 1951 tractor to run. Survivors include daughter Carolyn Owens and husband J.C. of Artesia; son Robert John Hay of Artesia; six grandchildren, including Sabrina Porte and husband Marvin, Amanda Platt and husband Howard, Andrew Hay, and Armand Hay; and great-grandchildren. 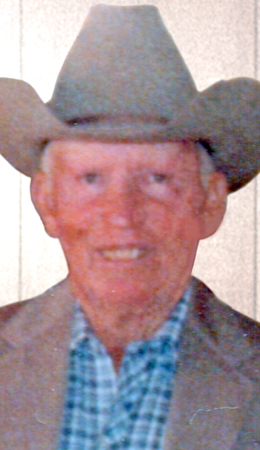 He was preceded in death by his wife, Doris Hay, on Oct. 14, 2016; his parents; sisters Madge Gravell and Lela Morton; brothers Henry and Byron Hay; and grandson John Hay.